The purpose of outside protective glass is to protect the stained glass from the outside elements and vandalism. When installing outside protective glass, Glassery's approach will not alter or impede the design and beauty of the stained glass windows or architecture of the church. It is also important that the materials used are installed properly-otherwise it can accelerate the deterioration of the stained glass windows. 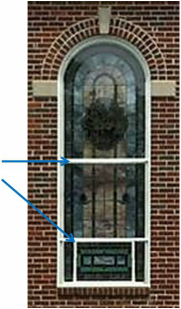 ﻿Glassery uses glass (see example below) for outside protection, either plate, tempered, laminated, or thermal panes, depending on your project. Glass provides a great amount of strength and will not discolor, bend out of shape, or scratch easily. Heat built up between the outside glass and stained glass is not an issue when vented correctly and is unobtrusive, so the view to the stained glass windows is always crystal clear. ﻿Glassery does not use polycarbonates or acrylics. These products discolor quickly, scratch easily, bend and bow out of shape, and have issues with heat buildup between the stained glass and the polycarbonate/acrylic, which accelerates the deterioration of the stained glass window. 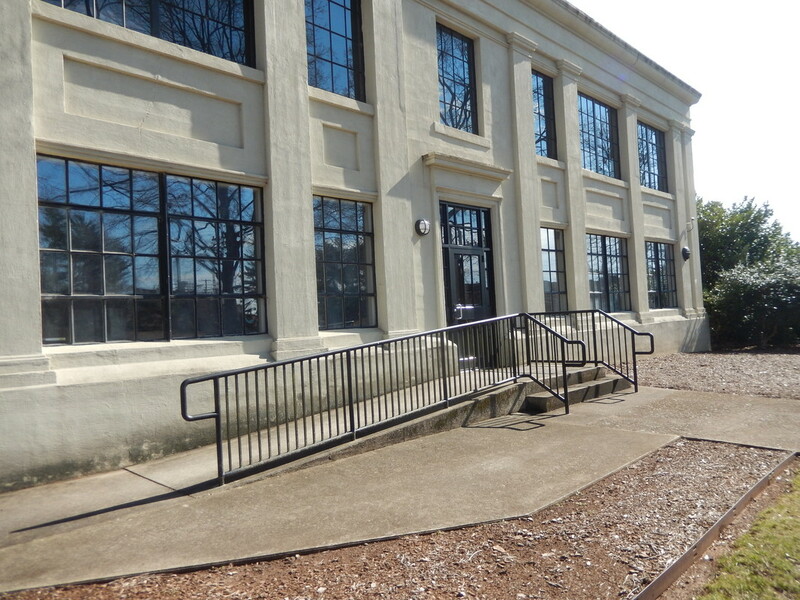 When venting these two materials properly to eliminate the heat buildup, the tennis ball size louver vents are unsightly and distract from the stained glass windows. 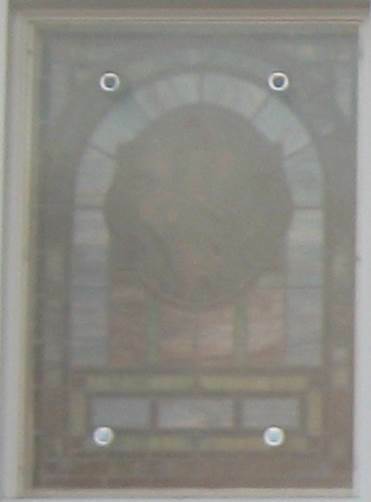 Note the discoloration and the 4 vents in this acrylic protected window to the right. The poor appearance with non-glass options. If frames are needed for new construction, Glassery can advise and install new aluminum frames that will fit the style of your building. If stained glass windows are going to be added at a later date, these frames will accommodate the outside glass and the stained glass windows can easily be installed from the inside when ready.